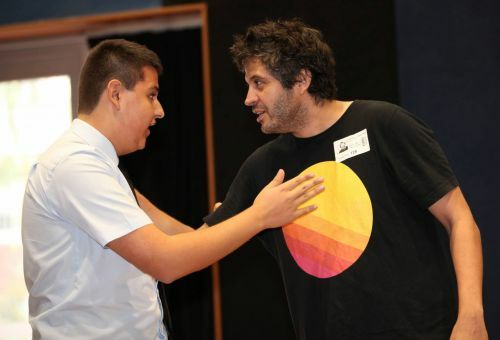 On Friday 15 March, the College along with hundreds of other schools, marked the annual National Day of Action against Bullying and Violence across Australia. During the week staff and students participated in a range of activities that acknowledged our commitment to maintaining a safe and supportive community for everyone. The highlights of the week were the performances from the group ‘Think About It’ who staged role plays with the students as a way of building awareness of how isolation, name-calling, harassment and other behaviours can negatively impact on the lives of not only those targeted by bullying but bystanders as well. While at times confronting, the messages conveyed by the trio, with the help of student volunteers, provided a sense of realism.